Far from the core worlds of the Galactic Empire lie the planets that make up the galaxy's Outer Rim. To many, these planets are backwater worlds rarely worth consideration. 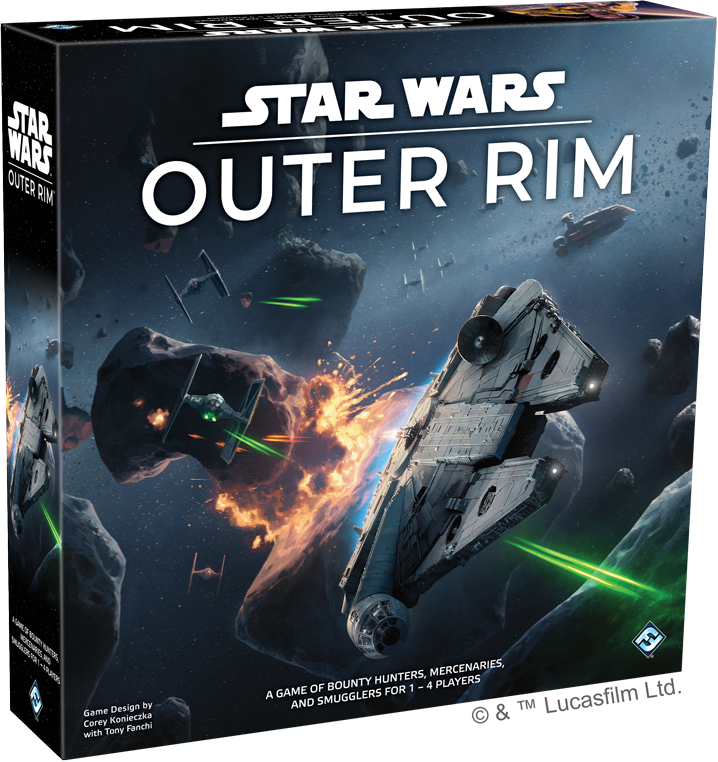 But to the scoundrels and scum of the galaxy, the Outer Rim represents opportunity—the opportunity to expand their reputation, to take on jobs and bounties, to hire a crew and procure the fastest ship in the galaxy. And even, perhaps the opportunity to become a living legend and maybe make a few credits along the way. 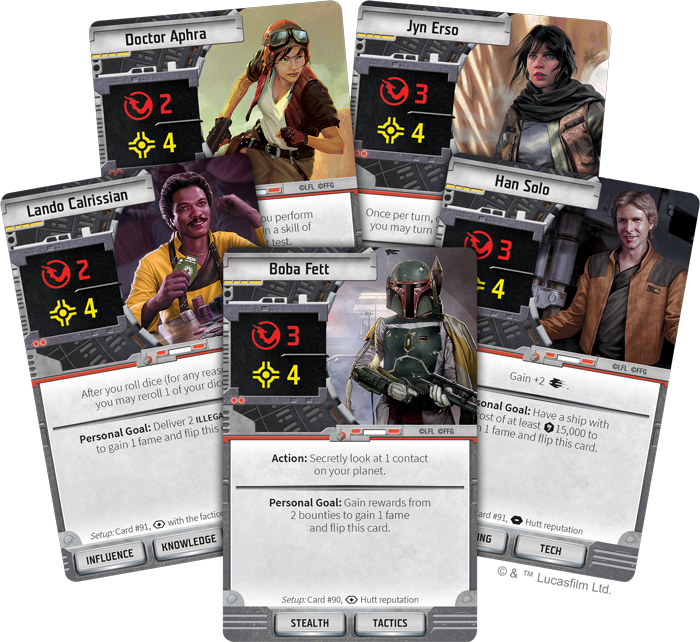 Take on the role of iconic Star Wars characters in Star Wars™: Outer Rim! Travel around the galaxy’s edge taking on harrowing heists and tracking down some of the most notorious ruffians the galaxy has to offer. 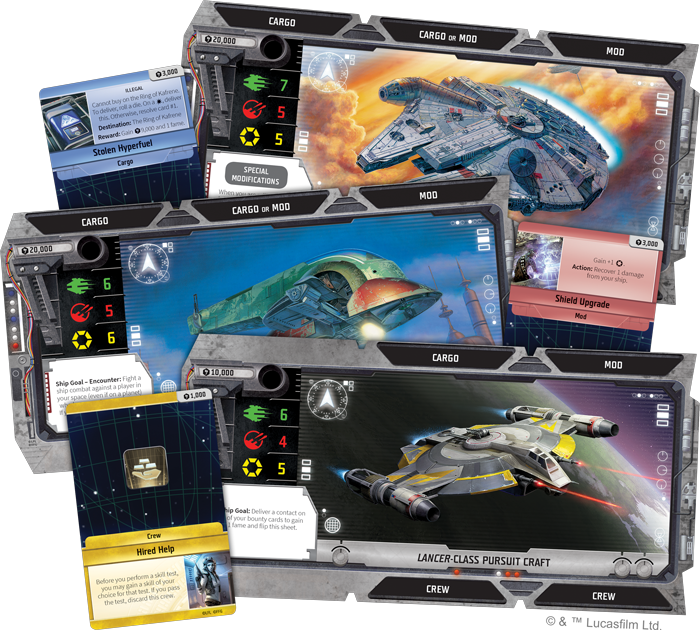 With any luck, you’ll upgrade your ship, hire a crew, and become a living legend in the Star Wars galaxy! Test your mettle against the dangers of the Outer Rim to grow your legend. Every scoundrel making their way in the Outer Rim is different, and your path to fame will be unique. Each of the eight character options featured in the game has their own personal goals and ability. Boba Fett searches the galaxy for bounties to bring in dead or alive, while Han Solo is in search of the fastest ship in the galaxy. Fulfilling these goals will bring you fame, but handling jobs, bringing in bounties, delivering illicit cargo, picking fights with various factions, and using your hard-earned credits to purchase luxury items are also viable paths to victory. What story will you tell? Becoming a living legend won’t be easy. You’ll have to navigate the politics of the Imperials, Rebels, Hutts, and various Crime Syndicates patrolling the sector. Furthermore, an encounter at the end of every turn tests your skills as a scoundrel. Success in these encounters leads to fame and credits, while failure can see you kicked back out on the street. These challenges might be difficult, but the rewards can lead to fame, credits, or even one of the most iconic ships in the galaxy. Do you have what it takes to survive the dangers that lurk in the Outer Rim? Become a Legend in the Star Wars Galaxy!